At the moment it's Kumiko and Reina, for contrast my phone wallpaper is Mizore and Nozomi. 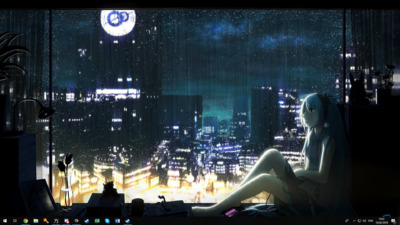 This has been my wallpaper for the majority of the last 10 years or so, across at least 3 computers. Change it occasionally but invariably come back to it. I just find it so... evocative, and mesmerising. 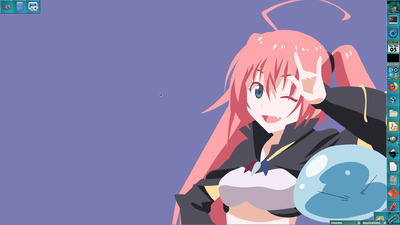 Demon Lord Milim and Rimuru from That Time I Got Reincarnated as a Slime! Had a screencap of an episode in the show but wanted something better for wallpaper. Almost looks like the default background colour used in some WindowMaker setups.